Coach Velarde is entering his 21st year of coaching Cross Country/Track and Field. He received his Bachelor of Science from Point Loma Nazarene University in 1994 and his Masters degree from Azusa Pacific University in 2002. He ran Cross Country and Track for Central Union High and in college at Cal State San Bernardino and Point Loma Nazarene University. He has been married to his wife Erica for 19 years and has 2 children: Jacob (15) and Jayson (12). He has taught Physical Education at Pacific Beach Middle School, Jordan Middle School and at Sierra Vista Jr. High School. He is the Physical Education Department Chair at Sierra Vista Jr. High School for their Nationally Recognized Physical Education program. In his spare time he plays Frisbee golf, basketball, watching movies and rooting for his Favorite Sport Teams: L.A. Lakers, USC Trojans (Football), New York Yankees, San Francisco 49ers, and the Duke Blue Devils (Men's Basketball). 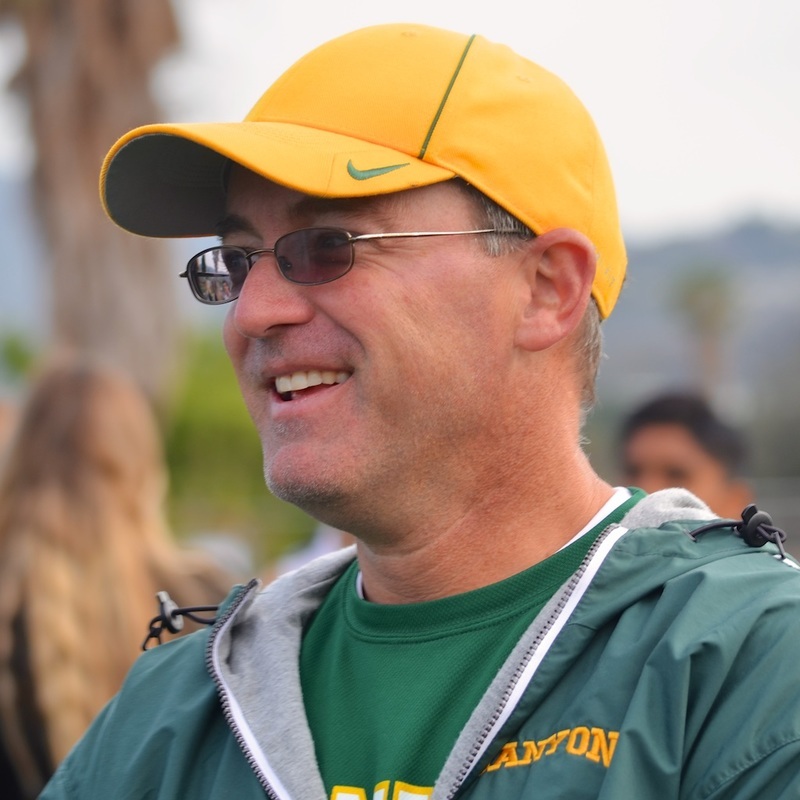 In 2009, he was named the Physical Education Teacher of the Year for the State of California. Over the years, he has spoken to: US Congress at our Nation's Capitol, was a speaker at the 1st Global Conference for Sports and Science in Taiwan, spokened with Governor Arnold Schwarzenegger and President Bill Clinton regarding Health and Physical Education. is a Canyon High School alumni, graduating in 1998. In high school Dave participated in track and field, cross country, and soccer. Since high school Dave has been in the United States Maine Corps, and has faithfully served this country for the past 17 years. 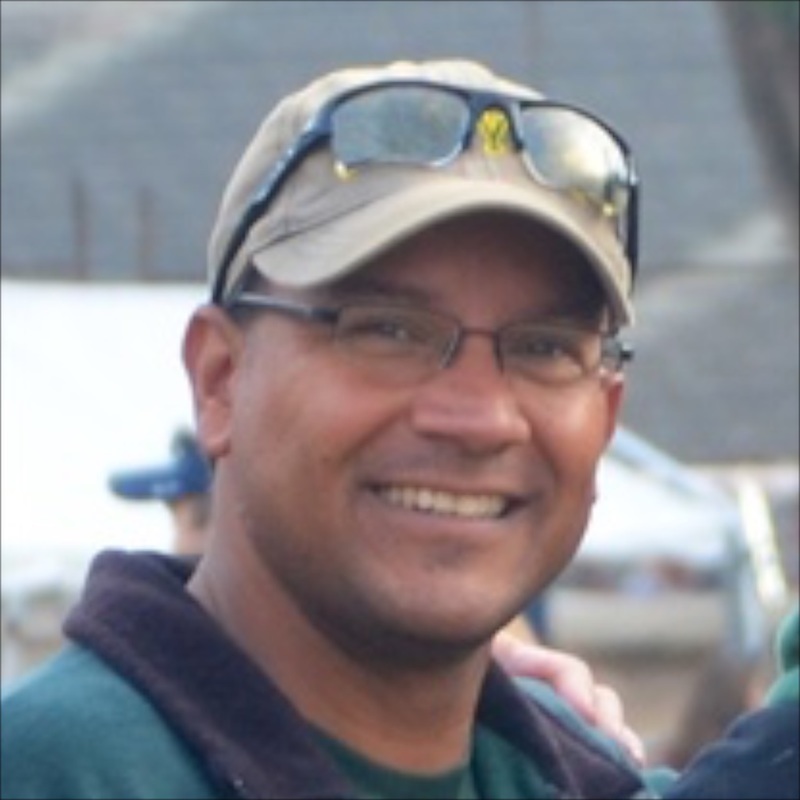 Dave works full time as a firefighter in Westwood, California for the Los Angeles City Fire Department. On his days off, he is a dedicated husband and father to his wife Emily and two small children, Lilly and Jace. Dave has been a volunteer coach for track and field and cross country since 2009. In addition, Dave and his family volunteer with an organization called Young Life, which is a non profit youth outreach program to help kids with the pressures and struggles in the world of high school. Dave lives his life to the fullest and with conviction. He strives to set that example for the students he coaches. ​Hello. My name is Cowboy, and I was named in honor of the amazing athletes on the Canyon Cowboy team. 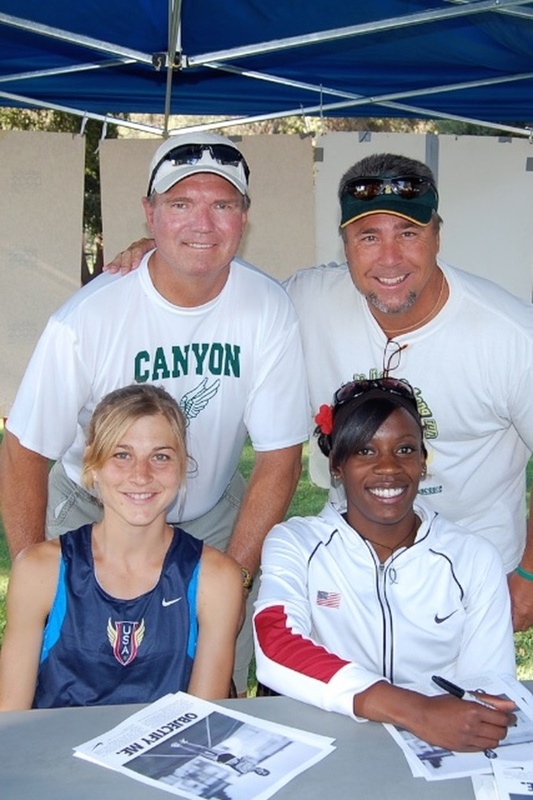 I became the team mascot in 2010 when Coach David Arellano recused me, while on a run with the team, from the streets of Canyon Country as I was thrown from a moving vehicle. I have attended many practices, races, meets, as well as, trained with the cross country team every year in Mammoth, California. I am eternally grateful to the head coaches for putting the kids on that particular run that day. Because of them, I was saved from being run over. I promise to faithfully serve and inspire the Canyon Cowboys to never give up, because miracles happen everyday.